“What happens at 12 noon,” I asked them. RUSH: Right on, my friends. The memo has been released. The four pages have been declassified by Trump just five minutes ago, plenty of time for your host to get it and digest it and get started. You don’t think this was coincidental, do you? They weren’t gonna release it at 3 o’clock or 5 o’clock. That’s too close to document dump time. They wanted a full morning of prepub and highlight, if you will. And so here we are. It is pretty much what we have all suspected and known. It has names attached. And we’ll get to it here straightaway. Just want to remind you, 800-282-2882 if you want to be on the program. It’s Open Line Friday, which means that you can pretty much talk about anything that you wish to talk about. As suspected — and these are just some bullet point highlights to start with. The Steele dossier, the golden showers dossier, the dossier that has yet to be confirmed, the dossier that has yet to be corroborated, which has even been admitted to by the former FBI director, James Comey. In other words, nothing in the Steele dossier, which has also been known as the Trump dossier, has been verified, corroborated, or confirmed. In addition, the Steele dossier was contracted by Hillary Clinton. Her campaign ordered it. It did not exist. It was not intelligence. It was not produced by the American or international intelligence communities. It was the idea of the Clinton campaign based on some early efforts by Fusion GPS during the Republican primaries to hire Christopher Steele, a former British intelligence agent, to put together an opposition research document and make it look like it was intelligence product, make it look like it was the result of intelligence agents, spies, doing deep investigations of Donald Trump and his family and associates. It was made to look like a standard intelligence document that was produced by counterintelligence American patriots, when, in fact, it was nothing more than a painting commissioned by a rich guy. This was a commissioned piece of work that served as opposition research. Everything we’ve known about it remains true to this day. We now know that the memo asserts that this dossier formed an essential part of the first and subsequently all three renewal FISA applications against Carter Page. Now, this we’ve known and talked about. Carter Page was a temporary Trump campaign official who had made some trips to Russia. And it was those trips in Russia that formed the basis of manufacturing out of whole cloth, creating a series of lies that the guy was being used as an agent by the Trump administration, the Trump campaign to seek relationships with the Russians. The Steele dossier, which has not been corroborated, which has not been verified, which has no facts in it, formed the essential basis for the initial FISA warrant. Now, this is important. Before the memo was released — and I had not seen it, and I purposely had not talked to anybody who had, so I was speculating yesterday. There has to be more in this FISA application than just this dossier. Common sense would tell me that. And, remember, yesterday I was asking, “Why wouldn’t Trump declassify it?” He can declass anything he wants. And if the Steele dossier was used to secure a FISA warrant to spy on Donald Trump or Carter Page or whoever, if it was secured, Trump can declassify it two years ago, two months ago, two weeks ago. And I theorized that maybe he didn’t because there’s more in the FISA application than just the dossier. I was speculating, if I’m the politicized FBI, and I’m a member of the establishment and I gotta take this guy out, I gotta destroy this guy, I’m gonna load this application up with everything I’ve got. I’m gonna find every immoral act I think Donald Trump has committed, I’m gonna put it in the application. I’m gonna load this thing up. It’s not gonna just be the dossier. And I speculated maybe Trump doesn’t want any of that seen, which is why he hasn’t declassified it. Well, it turns out that the dossier was the essential part of the original application. This is outrageous! They all knew it was bogus! Folks, they all knew this was bogus! They knew where it originated. They knew it originated in the campaign of the Democrat candidate for president. They knew that it was not intelligence. They knew that it was not sourced intel unearthed by patriotic, hardworking American spies or intelligence agents. They knew where this came from. So they present the dossier as the essential element in the application for a FISA warrant to surveil Trump, to surveil Carter Page, to surveil Trump Tower. And they renewed this FISA warrant three times using the dossier all three times! Another bullet point. Andrew McCabe, who has since retired from the FBI — he was a deputy FBI director — confirmed that no FISA warrant would have been sought from the court without the Steele dossier. Meaning, they didn’t have enough of anything else. They didn’t have enough of anything to get a FISA warrant to surveil and spy on the Trump campaign, the Trump transition, Carter Page, Trump Tower, you name it. Without the Steele dossier, which has never been corroborated, none of it has been confirmed, none of it is true, all of it written and created by the Hillary Clinton campaign using Fusion GPS. McCabe confirms that no FISA warrant would have been sought without the information in the Steele dossier. This is mind-boggling. Even though I’ve known this and reported it to you and therefore you’ve known it, even though we’ve known for I don’t know how many months now that the Steele dossier made up out of whole cloth, manufactured on orders of Hillary Clinton, and she paid for it, to now actually see it confirmed by the deputy director of the FBI that no FISA warrant would have been sought because they wouldn’t have been granted without the Steele dossier. Are you ready for this next one? “The political origins of the Steele dossier,” which I just described to you: The fact that Hillary Clinton commissioned it, the fact that a law firm acted as the cutout/go-between to funnel the money to be paid for the dossier, that Fusion GPS was involved in the creation of the dossier. “The political origins of the Steele dossier were known to senior DOJ and FBI officials,” meaning they knew everything I have just told you. They knew everything but excluded that when they sought the FISA warrant. They did not include in their application that it was a political document. They withheld the political news related to the very creation of this document in their FISA application. In the real world, it verifies that the judge was not told that the Trump dossier, the Steele dossier was a political document. It means that it was presented as counterintelligence. It was presented as an intelligence product created by patriotic American spies and intelligence agents trying to save America from the influence of the Russians in our precious bodily fluids election in 2016. “The political origins of the Steele dossier were known to senior DOJ and FBI officials.” That means Comey. That means McCabe. And at the Department of Justice? Well, Rosenstein handled two of the applications for renewal. The hits just keep on coming. The next bullet point: “DOJ official Bruce Ohr met with Steele” who was hired to write the Trump dossier, “beginning in the summer of 2016 and relayed to DOJ information about Steele’s bias,” that this guy Steele is politically biased. “Steele told Ohr that he, Steele, was desperate that Donald Trump not get elected president and was passionate about him not becoming president.” So now we’ve learned that Steele was actively engaged in stopping the election of Donald Trump. The author of the dossier was not an uninterested, dispassionate, “just go where the facts, lead, ma’am,” individual. He was “actively engaged” in the defeat of Donald Trump. He was “actively engaged in stopping” Trump being elected, and Bruce Ohr learned this in the summer of 2016, having met with Steele. In other words, they’re preparing the FISA application for the warrant to surveil Trump, the campaign, the transition. Without the dossier, they would not have had nearly enough to seek the warrant. They did not tell the FISA court that the dossier was a political argument. Instead, they included “media reporting to lend credibility” to the accuracy of the dossier, which means they probably included quotes from the New York Times, the Washington Post, and CNN in the application before the FISA court to get the warrant to spy on Trump and related matters. Now, as Fox says, “The key here is that [Fox] previously reported — based on British court records — that Christopher Steele briefed six American media outlets on the dossier and the allegations against Trump.” So it appears to be circular reporting that was used to lend credibility to the dossier. Steele informs the media of what he wrote — which was made up, none of it yet corroborated — and the media then reports it. It gets published and broadcast in the media, and the FBI and the DOJ include all of that in their FISA warrant application. You want to talk about a conspiracy? It’s no wonder the people at the DOJ and the FBI don’t want anybody knowing about this! This is the total politicization of the FBI and the DOJ, at least the people involved in both agencies relating to this story. The total politicization and thus the corruption. Media reporting was used to lend credibility? Well, the media didn’t know anything other than what Steele told them! So Steele is passing off this fake, phony dossier as fact and real. The media’s hearing what they want to hear, because everybody involved in this wants to get the hell rid of Donald Trump. Now, eventually the FBI cut Steele off. “After Steele’s contact was cut off,” Fox News says, “the memo states that Steele and Fusion GPS continued to pass information to the FBI through Bruce Ohr, who was recently demoted over his contacts with Fusion GPS and Steele.” Remember, Ohr’s wife, Nellie, worked for Fusion GPS. She was on the Trump research team, if you will, as early as May of 2016. So even after the FBI decided it was no more useful to them to deal with Steele; they cut him loose. “The memo says that Steele and Fusion GPS continued to pass information to the FBI,” continued to add to what was in the dossier. Just making things up. 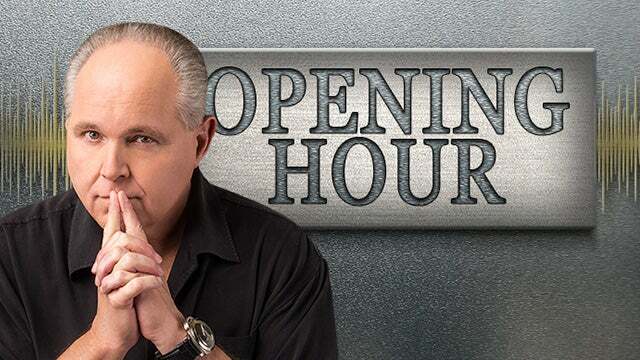 RUSH: According to the Devin Nunes memo, we find out today that there was collusion with a foreign agent to influence the 2016 election. We find out that this is an abuse of power of the highest order. 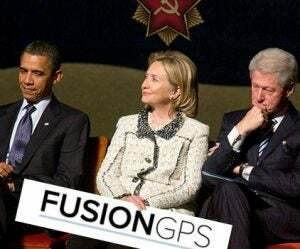 And we find out that the collusion… According to the Nunes memo, the collusion with a foreign agent — in touch with a foreign government — was initiated by Hillary Clinton and her campaign, facilitated by Fusion GPS and the wife of a DOJ official working at Fusion GPS. We find out that there was an attempt to corrupt the 2016 presidential election. We find out that there was a conspiracy to affect the outcome of that election. Furthermore, after that election, we have learned that there was a conspiracy to overthrow the results of that election after the failure to stop it. Except it all happened on the Democrat side and within the Obama administration. Not Trump. RUSH: So look what has happened. Robert Mueller was named a special counsel to find collusion between Donald Trump and Russian agents. We now know that Robert Mueller is targeting the wrong guy. We now know the special counsel investigation is looking at the entirely wrong place. The special counsel needs to be focused on the Hillary Clinton campaign, not the Trump campaign. The special counsel needs to be focused on the figures at the DOJ and the FBI who participated in this. The special counsel needs to be trying to run down Christopher Steele and where he is and how he was actually chosen and enabled to do this — and then we need to track down the actual Russian agents that Steele spoke to prepare this phony and fake dossier, none of which has been corroborated. I didn’t think this was gonna be possible. You know how people were worried that there’d been so much hype about this that it might end up being a dud, that there’d been so much hype that we couldn’t possibly meet the expectations? Folks, it is worse. It is worse than what I thought it was going to be. If anything, the contents of this memo were underplayed. They have not been overplayed. It is astounding. Now that I know what’s in this memo, you know what’s even more curious to me is that the FBI and the DOJ and the swamp didn’t make a greater effort to suppress this. I’ve been studying CNN today. CNN is the place to go to find out how the deep state, how the establishment is going to counter this. Their only headline has been “Trump Allows [its] Release in Defiance of FBI and Justice Officials.” So CNN figures the best way to battle this is to try to position Trump as somebody refusing to listen to the professionals and the great patriots of the FBI and the Department of Justice. That’s all they’ve got. I wonder if these people… You know, people inside the Beltway, people in the establishment, don’t really have a connection outside. They don’t really have an understanding, particularly the people who voted for Trump. But they don’t have an understanding of a large swath of the American public, primarily because they don’t want to. There’s generally a contempt, from the ruling class down — and it’s illustrated by Pelosi. Look at Pelosi talking about the tax cut. “It’s just crumbs.” She doesn’t even know that a $2,500 and $1,000 bonus is real money to a lot of people. 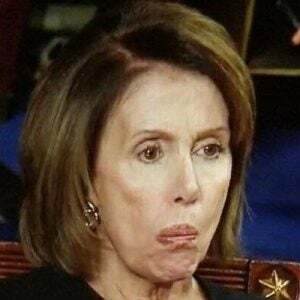 To her, it may be crumbs, but to sit there and act the way they did during the State of the Union speech? Petulant. Childish. All to satisfy the lunatic fringe of their base! And then to try to blow up the burgeoning, roaring economy by saying it’s peanuts and chump change, these people are not in touch with the vast majority of people in this country that make this country work. And I think that explains why a more serious effort to prevent this release was not undertaken. If these people have any idea how this is gonna be seen, perceived, how this is gonna register, there’s no way they would have wanted this out. I actually think that some of these people who have been making a big show of not wanting it out really have wanted this memo out because they think that it’s gonna look bad on Trump. They think they can make Devin Nunes look like a lunatic idiot. They are totally misreading this! And it happens to people who are in high positions of power who believe that they’re untouchable, who then hold in contempt people who they think are beneath them in the food chain, so to speak. So just to review. This is more damning than I expected it to be. I thought that since we’ve discussed it so much and pretty much informed you everything in it, I didn’t think I could be surprised. But I have been. The Steele dossier formed the essential part of the initial FISA warrant application and three subsequent renewals. All of these were warrants to spy on Carter Page, not Donald Trump. But to spy on Page means to spy where he is. If he’s in Trump Tower, you surveil wherever he goes. Again, the dossier is the basis of everything, and none of it’s been corroborated. None of it’s real. It’s bought-and-paid-for opposition research by Hillary Clinton and her campaign. It’s no different than that garbage stuff that was put out about Mitt Romney not caring about animals because he put the family dog on the top of the station wagon during family vacations. It’s no different than an ad that was run claiming Romney didn’t care about people because the wife of one of his employees died from cancer and Romney didn’t care. It’s no different than any of that sick opposition research. It’s no different than Harry Reid standing up and saying, “Friends of mine have told me that Romney hasn’t paid taxes in 10 years.” This is no different! It’s just as made up. It’s just as absent fact. It’s nothing but pure liberal Democrat opposition research politics that was dressed up in its presentation and in its creation as legitimate intelligence. I cannot emphasize enough that nothing in this dossier has been corroborated or confirmed — and I know the me saying so; it’s James Comey. Andrew McCabe, deputy director of the FBI, recently resigned, retired, confirmed that no FISA warrant would have been sought without the dossier. Meaning, they didn’t have anything else. They didn’t load the application up with a bunch of Trump morality stuff. They didn’t have anything! They had nothing on collusion with Russia. They had nothing — zilch, zero, nada — without the lying, stinking, made-up Trump dossier, which begs another question: What’d the judge know? Well, it turns out the judge was not told. The FISA court was not told of the political origins of the dossier. 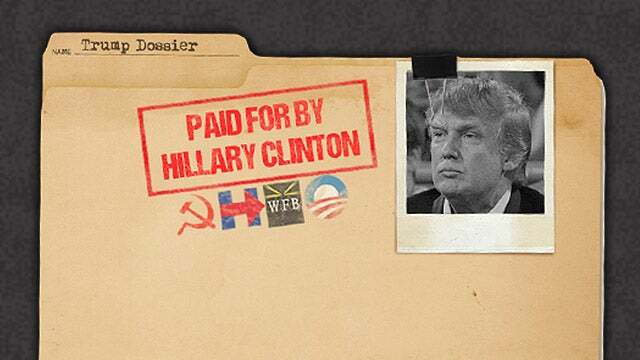 The FISA court was presented the dossier as though it was legitimate, real intelligence that was compiled by hardworking American patriots to try to protect American from the efforts of the Russians to screw with us. Hillary found somebody to write this thing, Fusion GPS found somebody to write this thing that did not want Trump elected. The FISA court was not told, and the DOJ was. Bruce Ohr relayed to the Department of Justice — that would mean Comey at the time this is all happening — and Loretta Lynch and anybody else in the Obama administration, which is knee-deep in all this, maybe hip deep in it now. Bruce Ohr told the DOJ, which means Clapper, Brennan, Loretta Lynch, Comey, maybe Obama, that this guy’s bias was obvious and real. He was desperate that Trump not get elected, was passionate about Trump not becoming president. The DOJ upon hearing that said, “Okay. That’s even better.” The pure, raw, partisan political nature of this entire sordid affair has now been confirmed. It is undeniable. It was not hard fought and hard won intelligence. It was not the result of boots on the ground and leather on the streets digging up the truth. It was made up by a guy who was passionate that Trump not become president. It was paid for by Hillary Clinton. And without this fake, phony, fraudulent document, there would have been nothing else to present to the FISA court to get a warrant to spy on Trump, his campaign, and his transition. That’s pretty much it. There’s gonna be more. I mean, there are little add-ons here, but names are named. They’re not redacted. RUSH: Okay. I’ve been getting a little flavor for how the left or the news media, CNN particularly, is trying to handle this. One of the avenues they’re taking is, “Well, there’s gotta be more to this. I just can’t believe — these are great people in the FBI, and of course they may be political, but when they get up every day they would not do this.” Well, they did do it. Let me cut to the chase. What really happens when whoever did it, Rosenstein, whoever did it, whoever made this FISA warrant application — and again, for those of you, I don’t want anybody to be confused. FISA is the Foreign Intelligence Surveillance Act. It came into being after 9/11, and it was to enable us to spy on Americans, spy on people within the United States who might be terrorists, who might be plotting similar attacks. And we created a special court that’s secret and hidden called the FISA court, the Foreign Intelligence Surveillance Act court, and it is there that the Department of Justice and the FBI go for permission to spy on Americans. Warrants. The judges at the FISA court, they rotate, you don’t know who they are. All of this is very secretive because it’s classified. So somebody goes to the FISA court to get a warrant to spy on Donald Trump under the pretext that Trump may be working with the Russians to steal the election. Then after the election, the warrant said, Trump may have worked with the Russians and that’s why we need to find out and see what we can do about it. The effort was to try to get rid of Donald Trump and to prevent him from being elected and then set up an impeachment case. In any event, when whoever goes to the FISA court to present their evidence to the judge to get a warrant, they lied. They lied to the court. I don’t know how this can be spun. I don’t know how you can say they’re really great people at the FBI and they’re great people at the DOJ and I just can’t believe — Well, somebody did this. They had a totally fake document that they knew was fake. They did not tell the court that it was fake, and they did tell the court that it was a politically originated document with the Hillary campaign. In order to add credence to the dossier, the applicants included media coverage that had occurred after the dossier had been made public! Well, the media coverage of the dossier was, by definition, untrue because the dossier is untrue. So a series of lies were told to the FISA court, and they worked. The FISA court granted the initial warrant to spy and renewed it three additional times. So they can try to spin this all they want. The FBI says they have grave concerns here because there’s a lot of information left out of this. It’s an incomplete story. Material facts have been omitted. Well, then by all means tell us what they are. Now that the memo’s out there. And if it’s wrong, and if material evidence has been omitted, if Nunes didn’t tell the whole story, then by all means fill us in. That’s what all this is about. “I have no idea what is in this memo.” Well, we do now. “It’s speech. It’s from the very staff and people our Constitution assigns to oversee the Justice Department and the FBI. And the elected officials who wrote it think I should see it.” They’re the people we elected. They are our representatives. They think we should see it. “The people who don’t want me to see it are the elected officials and leaders of the Democratic Party, the institutions and individuals whose actions are being reviewed, and several of the same newspapers that went to court to publish the ‘Pentagon Papers,'” as I pointed out yesterday. He makes the point, do you know for about a year anybody who wanted to could read the dossier? BuzzFeed published it. The media was hawking this thing around town in Washington for over a year. You’ve been able to read the lying, made up, totally false Steele dossier any time you wanted for a year. The Washington establishment, while pushing that on everybody, enabling you to read it, is trying to deny, or tried to deny you and I the opportunity to read what an investigative committee’s results say. 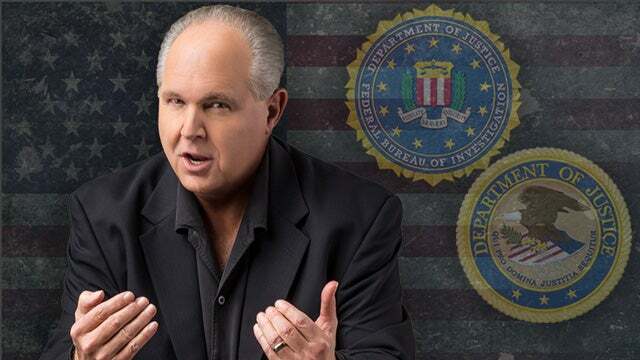 RUSH: And let’s not forget all the ancillary things that we know now with the text messages between Strzok and Lisa Page. The evidence that the players involved here knew what they were doing and were trying to suppress their own actions. This is sordid, folks.